By generating more qualified leads and optimizing your sales funnel. Without a well-organized lead generation and lead management process in place, your marketing team may struggle to attract quality prospects and your sales team may find it difficult to close deals. A strong lead generation and lead management process is the key to sustained growth and increased profitability. 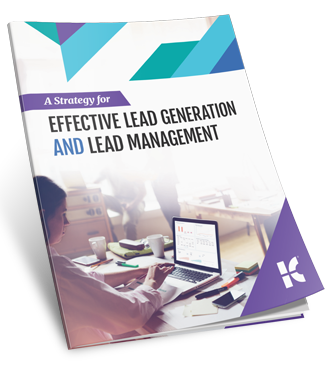 Discover the 7 steps to better lead generation and lead management in our free guide. What are you waiting for? Download the free eBook now.